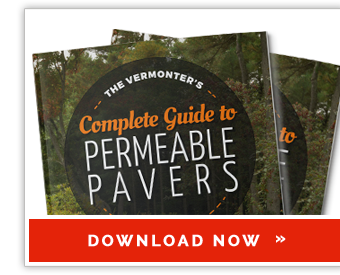 Always wanted to get more time and enjoyment from your yard? An outdoor fireplace is the perfect way to spend more time in the great outdoors, even into late evening hours and cooler seasons. Add more living space to your home and create the perfect focal point for your yard! Do you want a wood-burning or gas fireplace? Manufactured stone or real stone? What style? Do you want to include a hearth? A built-in woodbox? Instead of making all of these decisions individually and creating your fireplace from scratch, you can use prefabricated fireplaces from manufacturers such as Belgard. 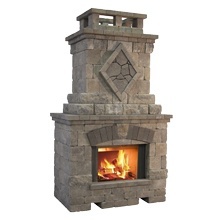 With this option, all you need to do is place the outdoor fireplace where you want it! Here are a few popular manufactured stone veneer fireplace styles from Belgard that look great and make the decision process a whole lot easier. Brighton™ Fireplace: A lower-cost, beautiful option for those on a budget. 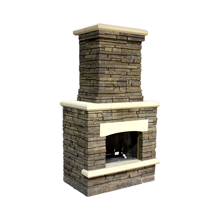 Bristol™ Fireplace: For a rustic look that blends well with any landscape. 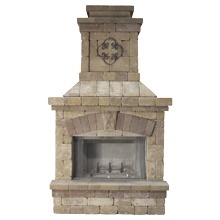 Bordeaux™ Fireplace: Features a timeless stacked stone design that becomes a focal point. 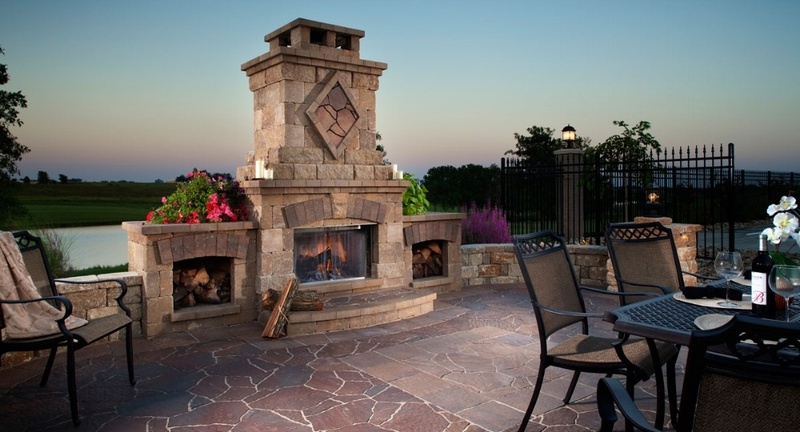 View more Belgard outdoor fireplace options here. A cozy outdoor living space makes an ideal place to “get away” right in your own home. Whether working on your laptop, reading a book, or just having some relaxation time, outdoor fireplaces create pleasant ambiance for enjoying some peace and quiet. Outdoor fireplaces create the ideal setting for entertaining guests. Host a meal, share some drinks, play games, dance under the stars, or just share some simple conversation—an outdoor fireplace provides the proper atmosphere for most any occasion. The outdoor setting makes it a little easier on the host as well—there’s no need to worry about guests tracking in dirt or spilling drinks on the carpet! An outdoor fireplace is fun and interesting place to cook a simple meal or make some tasty snacks. It’s easy to roast marshmallows, make s’mores, cook hotdogs, or toast nearly anything with an outdoor fireplace. Everything always seems to taste better when it is cooked over a real flame! An outdoor fireplace can add to the value of your property. Using materials similar to the materials that you have inside will create an aesthetic flow that can really boost your property value. Also, consider how your outdoor décor will add to the appeal of your fireplace area. Some simple landscape lighting, string lights, or even torches can create the final touches on your outdoor living space that will make an even bigger impression on your guests or potential buyers. There is truly nothing like a cozy fire to help you set the mood or unwind from the day. With an outdoor fireplace, you can bring all of the comfort and enjoyment of a fireplace into the great outdoors while getting the most out of your property. To start planning your fireplace project today, contact Trowel Trades Supply and speak to one of our experts.